The maxims in this book are my attempts to reach into the wisdom tradition of the ancient sages and apply the direct seeing of things as they are to the modern leadership context. There are 52 maxims, just as there are 52 weeks in the year, so there’s your clue as to how you can use this book. You can also use the reference guide at the back to point you to any particular theme that you are struggling with. Scroll down to the Description section for a sample of a leadership maxim from the book. You know those pithy leadership maxims, or aphorisms, of the ancient or Eastern sages? They’re always ancient, or Eastern, aren’t they? And when you read them, you probably find yourself going, Yes, that’s so true. In those moments, you feel that you’ve had an insight, or epiphany. Your mind goes quiet, and you wonder, How did they come up with that? That is the wisdom tradition. The leadership maxims in this book are my attempts to reach into that wisdom tradition and apply the direct seeing of things as they are to the modern leadership context. The conscious leader embraces danger. He knows that life is inherently dangerous, so he welcomes it, by embracing every change and every challenge. When it’s not there, he begins to grow restless, for he knows that the real danger is to fall asleep. He has observed that complacency is the biggest danger, because that’s when surprises happen. That’s when the high and mighty get knocked off their pedestal. If there is no danger, the conscious leader creates it by setting himself a challenge that is outside his comfort zone. He knows that problems are inevitable, so rather creates his own by setting challenging goals. In this way, there is danger and it is willingly embraced. He knows that in order to feel alive he must be risking something. More than that, he knows that life is best lived at the frontier between risk and response. The conscious leader manages risk by pushing himself into the danger zone. 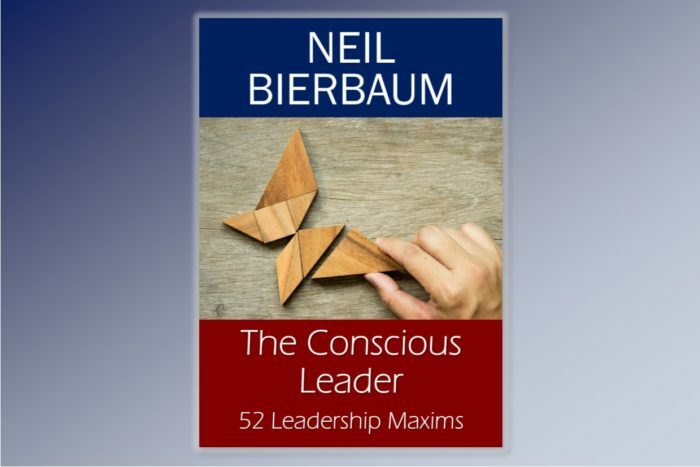 There are 52 leadership maxims, just as there are 52 weeks in the year, so there’s your first clue as to how you can use this book. You can keep the book handy and review one maxim a week and make that your theme for the week. You may want to keep a journal about your findings. Certainly, you’re invited to share them on my Facebook and/or LinkedIn pages. Another way you could use this book is to dip into it when you are facing a challenge. If you know what the challenge is, then look for the subject in the quick reference guide at the back and see if there is a maxim related to the theme that is troubling you. Finally, when a dilemma presents itself and you can’t put your finger on the answer, then simply hold the problem in your mind and open or scroll through the book until you intuitively land on a page. See if the wisdom on that page provides the insight that you need.